Join us as we explore the vibrant marine life of Thailand which includes the Phi Phi Islands, shopping for souvenirs in Bangkok and sipping cocktails on the beach in Phuket! Including return flights from Johannesburg, R4,500 airport taxes, hotel accommodation, domestic flight, ferry tickets, all breakfasts and more! 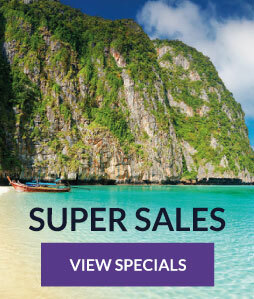 See Phuket, Phi Phi, Krabi and Bangkok! "The most mind blowing customer service I have ever experienced. Amazing team."